DS MCCUU SETS with Hook Fastener Military Name Tapes & Rank Insignia. Leather Flight Badges for all Branches of Service. 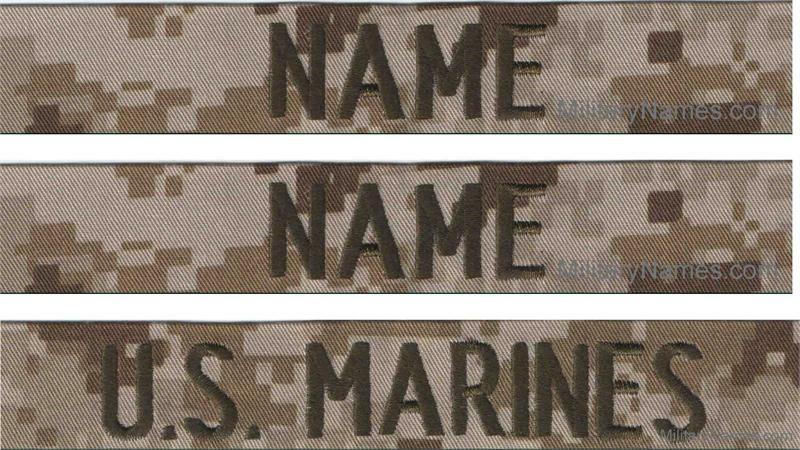 Embroidered Name Tapes for the MCCUU Digital Print Desert Uniforms. A set includes 2 DS MCCUU Name Tapes and 1 DS MCCUU U.S. MARINES Branch Tape. 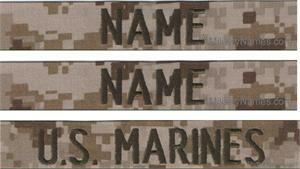 All three name tapes come with hook fastener, Hook Fastener or equivalent. 1 Inch Tall by 5 Inches Long.